The Ellis Family, with twins in the Neonatal Intensive Care Unit (NICU) at HSHS St. John’s Children’s Hospital. After a very complicated obstetric history and subsequent losses our twins decided it was time to arrive, despite being 2 months early. Having experienced previous preterm complications, we knew what we were up against. With over six months of bedrest that had resulted in severe muscle atrophy coupled with one twin delivering and the other twin being a c-section, I found normal daily activities such as standing for a short period of time and walking to be exhausting. It would have been impossible for me to commute 2 hours round trip to visit our babies we had longed for over many years. 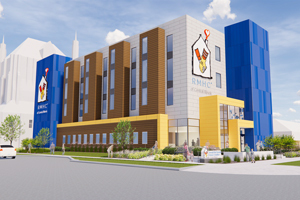 The nurses suggested we contact the Ronald McDonald House®, which was a true blessing. Out of all of our trials, it was so comforting to know one thing we would not have to worry about was where we were going to stay while our daughters were in the hospital. We found the Ronald McDonald House to be one form of constant comfort in a time we felt so emotionally vulnerable due to our daughters being premature. It is extremely difficult to enter the hospital with babies and leave empty armed, a feeling we knew all too well from previous complications. But this time we had hope we would eventually leave with both our arms and hearts full. This feeling of emptiness we had felt before was fulfilled by the comfort the Ronald McDonald House offered from many different perspectives. First, we found so much comfort knowing we were just across the street from them. It was very reassuring to know we were minutes away if we were needed immediately. This eliminated a lot of mental anguish that resided within due to our obstetrical history. From a physical perspective, I was able to visit them far more frequently than I would have been able to if I had to commute. Those initial moments and days of bonding are irreplaceable, a time parents will never get back. I am forever thankful that Ronald McDonald House made every moment possible for us. Finally, from a financial perspective, we were so thankful for the generous donors who made it possible for us to stay, particularly since I had been on unpaid leave my entire pregnancy due to bedrest. The fabulous meals and food items donated by local businesses and community volunteers were greatly appreciated throughout the day and made the blessings seem even more abundant. They even had donated toiletry items since most parents, such as ourselves, end up at the house unexpectedly. The Ronald McDonald House and staff fostered a truly healing, peaceful and restful environment that welcomes and cares for families, so the families may provide care and focus all of their time and attention on their hospitalized child(ren). Their service to our community is truly priceless to those parents and families in their time of need. It was a tremendous relief to have the burdens of basic living needs met by complete strangers who suddenly became family. We were fortunate that our daughters were discharged after a relatively short, fifteen day, stay in the hospital. As we departed the House, we knew we would return, but next time in order to give back. My husband and I have been guest chefs, both with co-workers and now with our daughters. Over the course of our daughters’ upbringing, we have shared the important role Ronald McDonald House played in their arrival. After all it was our home for the first two weeks of our daughters’ lives. We have emphasized the importance of sharing our gratitude to the Ronald McDonald House so other parents can receive the same blessing. I am proud that both of our daughters have chosen to give of their time and talents to show their gratitude back to the House and honor other families who find themselves in need by serving on the Ronald McDonald House Teen Council. We remain forever grateful to Ronald McDonald House for making families a priority in central Illinois. In 2011, the last day of school, Darla and Todd LaDage took four-year-old Carson to the doctor because he had been showing some minor neurological symptoms. He was limping off and on and stuttering on occasion. The doctor ordered an MRI, which showed Carson had a brain tumor in the brainstem. 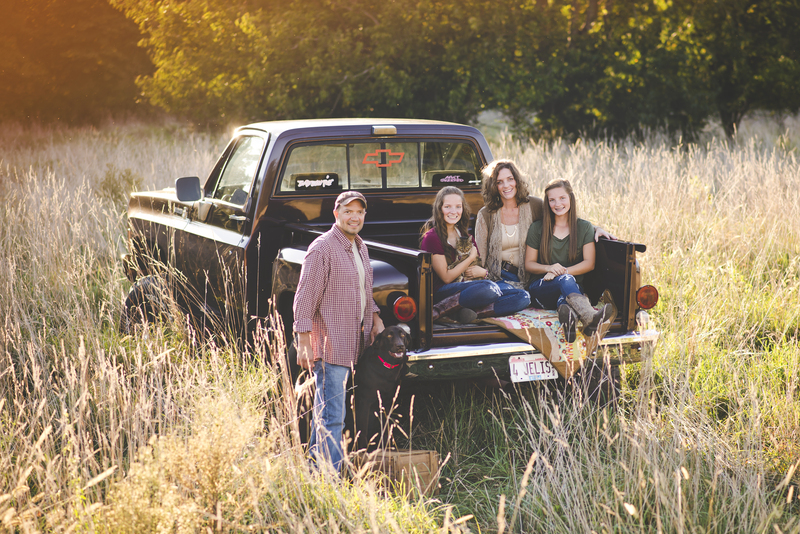 Just days after finding the tumor, Carson’s doctors performed brain surgery. The surgery didn’t quite go as planned. Instead of removing the entire tumor, the doctors could only do a biopsy to explore the tumor more. They gave Carson about a week to recover before putting in a port and starting chemotherapy. The chemotherapy continued for a year. Traditionally, that is where the story would end as the type of tumor Carson has typically only requires one year of treatment. Carson’s was still growing. Carson was sent to Memphis for radiation treatment. This was the first time they experienced the Ronald McDonald House® (RMH) and realized the value of what the House offers families like theirs. 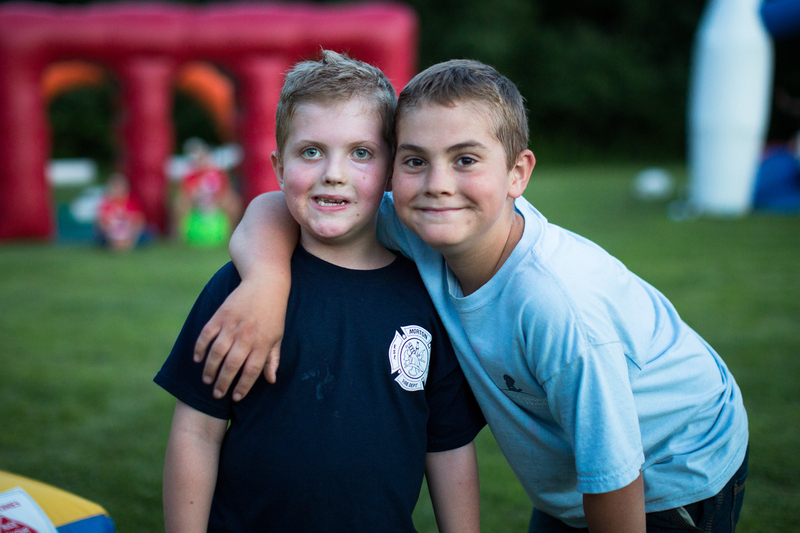 Carson and Darla lived at Memphis RMH for nine weeks while he received treatments. Carson’s dad Todd, sister Emma and brother Riley would all come to visit during this time –they were thankful the Ronald McDonald House was able to accommodate their family. 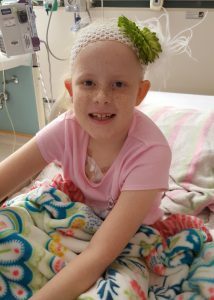 Darla was also able to bond with other families going through similar situations while she was at the RMH. A year and a half after receiving radiation, they discovered Carson’s tumor was growing again. Carson was sent back to Memphis for five weeks to begin a two-year clinical trial, and they stayed at the Memphis RMH again. Today, seven years after that initial diagnosis, Darla and Carson still make occasional short visits to Memphis to meet with Carson’s doctors. While they don’t stay at the Memphis RMH on these visits, they always make time to stop and see the house manager, whom they built a special relationship with while they stayed there. 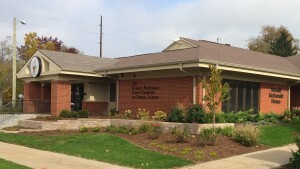 The Memphis RMH provided the LaDages with a home to keep them close to the hospital. But it was more than a place to sleep and cook a meal. It was a sense of security when everything else was uncertain. In addition to their involvement with the Peoria Ronald McDonald House build, the LaDage family also helps give back to their community and the organizations that have helped them along the way. One of those efforts is Carson’s Lemonade Raid which started in 2012. “Carson turned to his mom while he was in the kitchen one day and said ‘hey, I’d like to have a lemonade stand to raise money so kids like me can get better’,” said Todd. And it took off from there. This year, they crossed the $100,000 mark and they plan to continue fundraising. 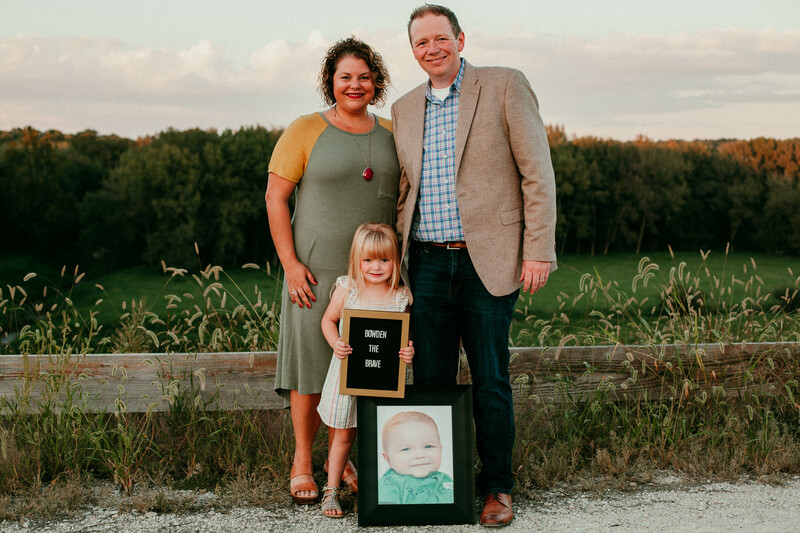 Pictured are Christine and Adam Simmons with their daughter Harper and a photo of their son Bowden. The Simmons Family are RMHCCI Ambassadors & Spokespersons for the Peoria House Build. In February 2016, while living in the suburbs of Chicago, life seemed perfect for the Simmons family. They had two beautiful babies – Harper (their 1 ½ year old sassy baby girl) and Bowden (their sweet son who was only three months old). Then Bowden started having some common cold symptoms that sent them back and forth to the pediatrician. Over the course of 4 days, things turned progressively worse. 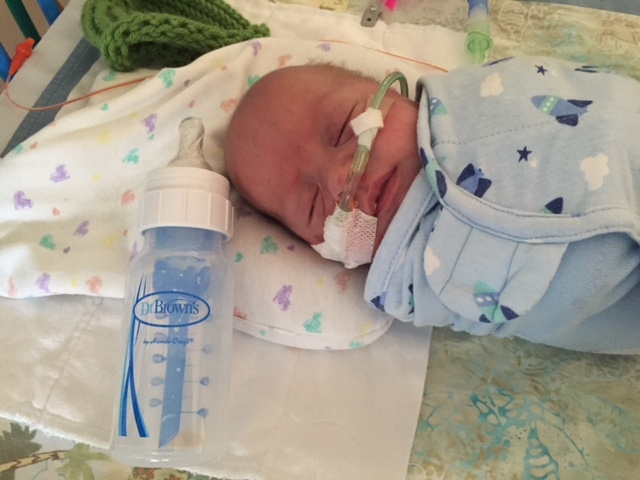 When they noticed that his breathing was becoming more labored, their pediatrician recommended they take Bowden to the ER. From there, they were quickly transferred to Lurie Children’s Hospital in downtown Chicago. Bowden was diagnosed with a very rare autoimmune disorder called Hemophagocytic Lympho Histiocytosis, also known as HLH. A quick way of explaining HLH is that it’s an overactive immune disorder where your white blood cells overreact to illnesses. They don’t stop at attacking the virus – they go after your organs and everything else, too. Since HLH is treated like cancer, Bowden was immediately started on a regimen of chemotherapy and high dose steroids. The Simmons also moved into the Ronald McDonald House at Lurie’s, just three blocks away from the hospital so they could stay close to Bowden and the care he needed. About 4 months into treatment, while Bowden was preparing for a Bone Marrow Transplant, the Simmons were dealt more crushing news. Bowden also had Acute Myeloid Leukemia. At the time, Bowden was the only case in the world to have both HLH and Leukemia. It also meant that the Bone Marrow Transplant couldn’t be done at that time. They had to start treatment over. He responded beautifully again – even earning himself a stay with his family at the Ronald McDonald House. They went to Navy Pier, got his caricature done, and then that night… he spiked a fever. They were back in the ER by 7 am the next morning to learn that Bowden had a virus and he was readmitted. Shortly after being readmitted as a patient, Bowden relapsed, and another aggressive regimen was started, yet his condition continued to get worse. In the early morning hours of August 8, 2016, Bowden passed away with Adam and Christine by his side. Throughout Bowden’s 6-month fight, and Adam and Christine’s fight to save him, they lived at the Ronald McDonald House in Lurie. This not only got them off the chair and couch in the hospital room, but they were able to stay close to Bowden and spend time with their young daughter Harper who had been staying in Peoria, IL with family. Throughout the entire journey with Bowden, Adam and Christine found they could count on the Ronald McDonald House. The staff and other families became like family to them, they got to know one another and enjoyed the time away to talk and get refreshed. Adam was even able to use the House as his remote office. “It’s so hard to take care of a little kid. It’s hard. It’s taxing. Taking care of Harper in our own home, that’s taxing but to try to take care of a child away from your home, and for an extended period of time, it’s just a mental and physical drain,” said Adam. “Until you’ve done it, you just don’t understand,” he added. “Having the House kind of relieves that pressure and gives you a place to be in a normal kind of situation with your family,” Adam said. “Then there’s the financial aspect,” he added. Adam was very lucky to have a boss that supported him and let him work remotely with a flexible schedule. “The House had a number of areas where I could work so we did not have to take FMLA, which relieved a tremendous amount of the financial burden and stress. I could just focus on Bowden and Christine and Harper. It’s just an amazing charity. I just think the world of it,” Adam stated. Pictured are Jamie and Craig, with Allison and Jillian doing well at 16 weeks in August of 2017. Our 2017 Winter Mailer features to story of Jamie and Craig and their stay at the House when their twin daughters were born prematurely. Below is Jamie’s story in her own words. In the early morning hours of May 1, 2017, our world completely changed. I was only 27 weeks along in my pregnancy with twin girls, when my water broke. My husband and I arrived at the hospital in Springfield, fearing the worst. Two days later, our girls were born on May 3, 2017. 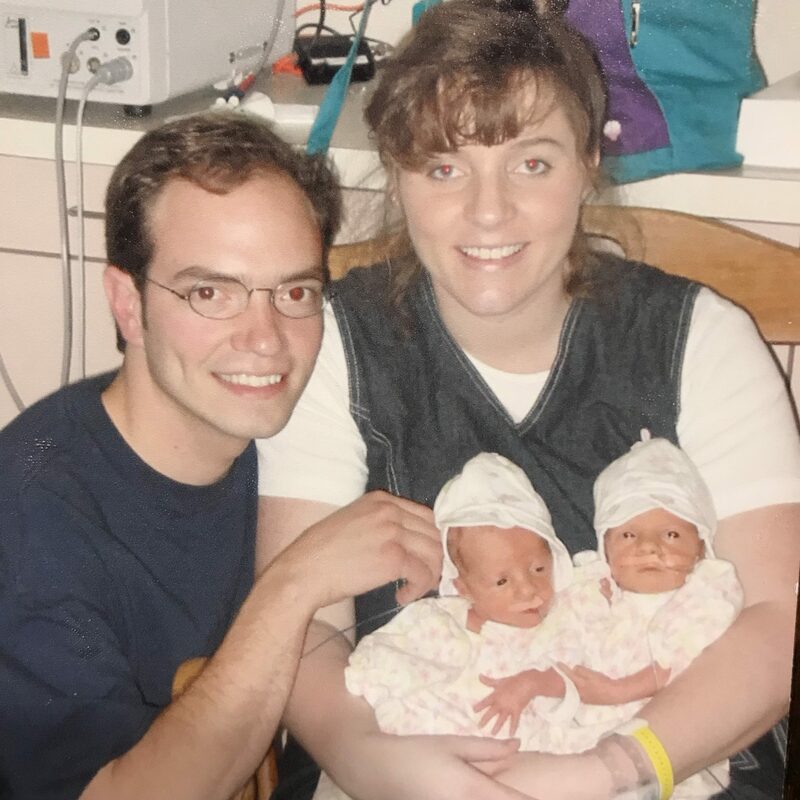 They were so tiny with Allison weighing 2 pounds 3 ounces and Jillian weighing 2 pounds 9 ounces. 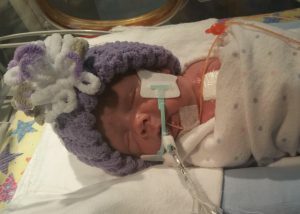 Both girls spent over 50 days in the Neonatal Intensive Care Unit (NICU). The evening I was released from the hospital we went directly over to the Ronald McDonald House (RMH) in Springfield where we were greeted and quickly checked in. From the moment we walked in the door everyone was so helpful and supportive. For the next eight weeks the RMH became our home away from home. Craig was still working full-time and was able to visit on weekends and stay at the House while visiting. It was comforting to be so close to the hospital knowing that I could quickly be by the girls’ side if needed at any time of day. It was amazing to watch our girls grow stronger every day, and I feel that my continued presence made that possible. All of the volunteers were comforting, always asking about how the girls were and if we needed anything. It was also nice to have other families in the House going through the same things we were and to be able to share stories and celebrate the little successes our children were making. The House had everything that we needed free of charge including toiletries, laundry supplies, snacks and so much more. The guest chefs that prepared meals throughout the week were wonderful. It was nice to come home in the evenings to a hot, home-cooked meal– just one more amenity that took a lot of the worries off my mind. All of this is possible due to the generous donations RMH receives from the community. It seemed like every day someone was dropping by fresh flowers, fresh fruits, donuts and even handmade quilts and toys for siblings that were staying in the House. All of these things meant so much during our stay. We are already talking to the girls about the RMH and will in the future as well so they know how important it is and how the House helped our family when we needed it most. We plan to pay it forward as the girls get older by participating as guest chefs and making donations to the House to help other families that are in similar situations that we found ourselves in when they were born. We hope you will join us in sharing the spirit of the season by giving a gift or donation to the House this winter. When MaryBeth arrived at the hospital last summer due to complications with her pregnancy, she did not know the lengthy ordeal she was beginning. 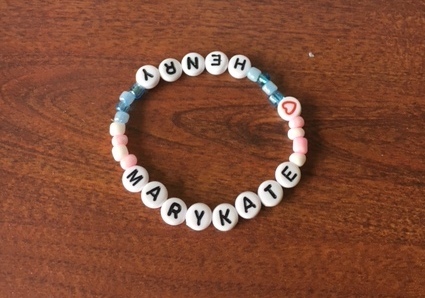 MaryBeth’s daughter, MaryKate, and her son, Henry, were both born premature shortly after her arrival. MaryBeth learned that the twins would need to remain in the NICU for several months. Due to her children’s medical needs, she and her family could stay at the Ronald McDonald House for as long as needed, at absolutely no cost. MaryBeth stayed at the House for over four months. Sadly, MaryKate passed away but her brother Henry’s care continued. She was relieved she had a safe and comfortable place to stay that was just across the street from the hospital. During a challenging time, MaryBeth was able to focus on what was most urgent- her son, having a warm bed, hot meals and a comforting environment to return to. During her time here, MaryBeth was able to be close to Henry day and night. Her husband Robert, who worked full time, and their daughter Aurora would frequently visit on the weekends. During their visits they too could stay at the House free of charge and have a comfortable place to eat, rest and play. 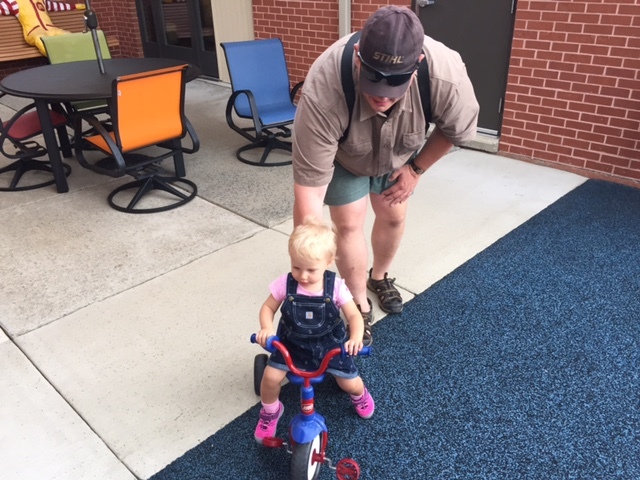 Their two-year-old daughter, Aurora, lovingly calls the facility the “clown house” and always looked forward to playing on the playground or visiting with the staff. Like many parents here, MaryBeth quickly built friendships with other parents who had children in the hospital, which she maintains even after her time at the House. Henry was released from the hospital several months after he was born. Henry still requires regular check-ups from his doctor in Springfield, which can be difficult as MaryBeth and Robert live over two hours away. For several of these appointments, MaryBeth and Henry have been able to stay at the House, alleviating long travel times and stress on these days. MaryBeth and Henry came to the House this past summer while in town for a check up and to visit with the staff. Henry will soon celebrate his first birthday as a healthy strong baby with the rest of his family! It is through the kindness of many businesses, families and individuals who support our work at Ronald McDonald House Charities of Central Illinois, that stories like Henry’s and MaryBeth’s are possible. Pictured above is Henry at the House July, 2017, happy and healthy, in town for a scheduled check up! 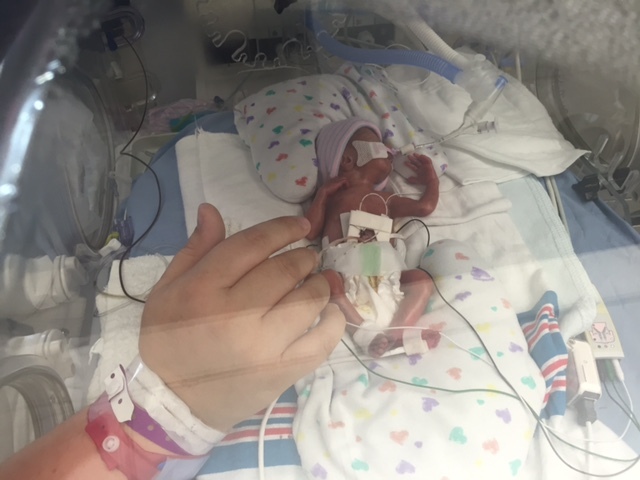 Wynter was born 16 weeks early on November 27, 2015. She weighed only 14 ounces – not even one pound! Beginning last December, her mom, Sara, stayed at our Ronald McDonald House while Wynter received care at St. John’s Children’s Hospital’s Neonatal Intensive Care Unit (NICU). 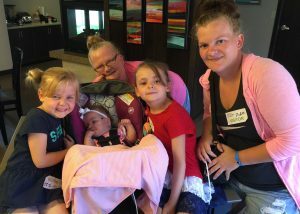 From time to time, her grandma, Teresa, and sisters, Autumn and Summer, would also stay at the House while Wynter was growing big and strong in the NICU. House while Freya takes her turn at growing big and strong in the NICU (pictured to the right). For this family, the Ronald McDonald House has truly become their home away from home while their little loved ones receive the best medical care possible. Because of your support, Wynter’s family has been able to stay at the Ronald McDonald House for over 350 nights at no cost to them. This winter, please help us continue to keep families like Wynter’s close. Your gift will enable us to provide family-centered care that babies need to be healthy and strong. Happy Wheels Cart! The Happy Wheels Cart ladies know I love the stuffed animals, so they always have some special ones for me to pick out. Even Ronald McDonald stops by with the cart to visit! My school, Ridgeview Elementary, has been collecting pop tabs to raise money for the Ronald McDonald House in my honor. Mom and I drop them off at the House when we come to town for my treatments. We’ve collected over 85 pounds since November! It’s comforting to know my family can stay close to me while I receive care for my cancer, and it’s all because of your support. Thank you – seeing my family makes me really happy. In August, our son, Luke, 17, was involved in an accidental explosion. He experienced second and third degree burns over 65 percent of his body, requiring seven skin grafting surgeries and a three month stay at Memorial Medical Center’s Regional Burn Unit. As a mom, the experience has been overwhelming. My husband and I have felt completely helpless, watching our son be in excruciating pain and struggle every day to recover with nothing we could do to make him feel better. Our journey has been physically, mentally and emotionally exhausting – and truly traumatic. I could not bear to think how much worse it would have been without the comfort of the Ronald McDonald House. For the first two weeks after Luke’s accident, we stayed at the hospital because Luke was so critical and we didn’t want to leave his side. Once he was stable, we learned about the Ronald McDonald House. When we were shown our room, I started to cry. The amount of relief I felt was indescribable. We had a place to put our stuff, our own bathroom, and the most comfortable bed I have ever slept on. It seems small, but having an actual bed during this difficult time was such a huge comfort and it made all the difference for us. 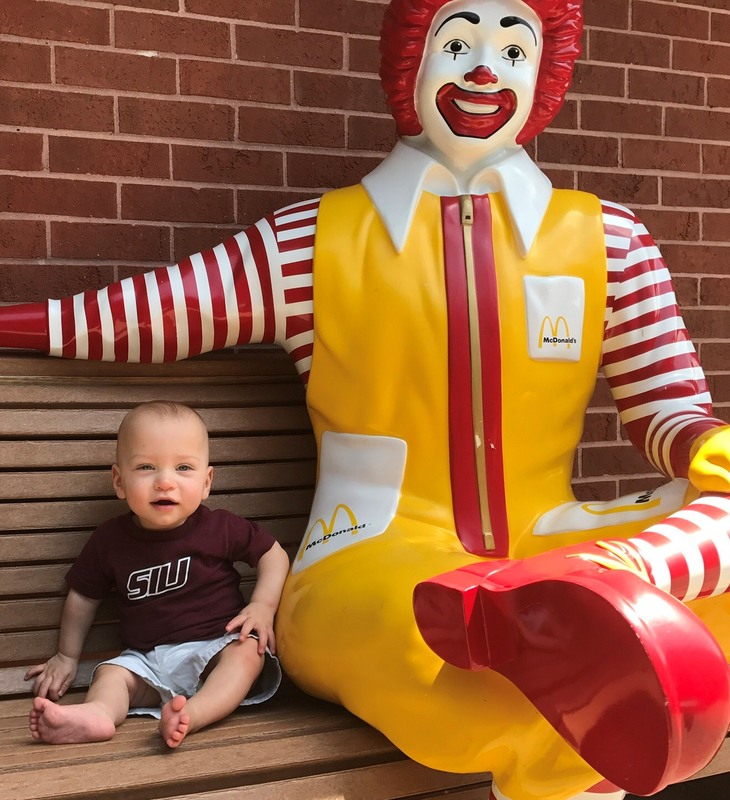 We still have a long road ahead of us, but the support we have received from the Ronald McDonald House, its staff and volunteers has been incredible. Without the House, I would not have been able to cope with our situation, not to mention been able to afford it. No one plans for their child to experience a severe burn accident and have the closest burn unit be two hours away from home. Thankfully, Ronald McDonald House helped us absorb a part of our critical needs during the worst unexpected experience of our lives. We could not be more grateful, and we plan to pay it forward for all that the House has done for us. 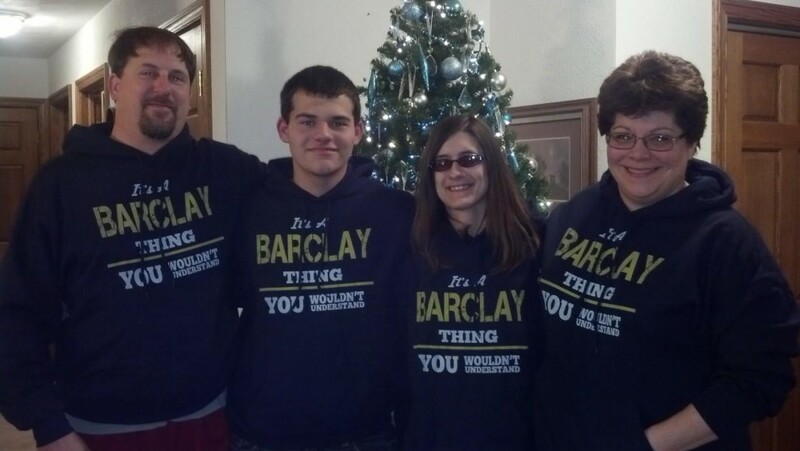 Pictured above are James, Luke, Tiffiney and Glennette Barclay, prior to Luke’s accident. 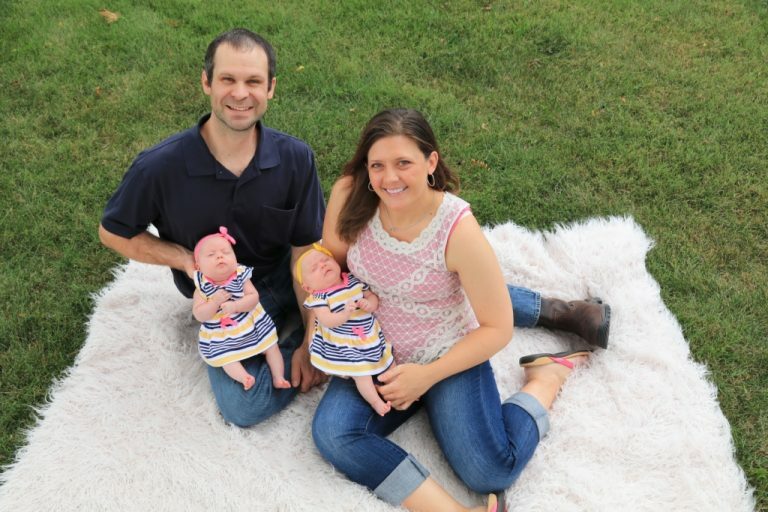 The Frankovich Family came to RMHCCI last year when baby Allison was born with a prolapsed cord, which cut off all the blood supply and oxygen to her body. 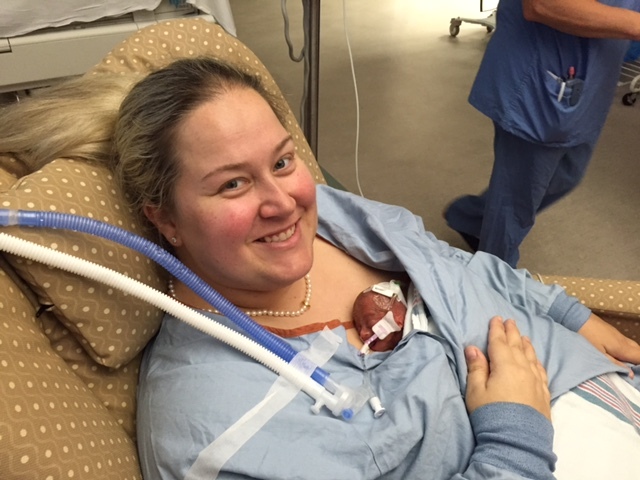 While at St. John’s Children’s Hospital, she had a stroke which caused further damage. Doctors thought Allison might not be able to swallow food and they suspected she might have Cerebral Palsy, but Allison made a full recovery and just celebrated her first birthday. After their stay at our House, the Frankovich Family decided that if Allison could live to see her first birthday in good health, they would have a birthday party where guests would bring gifts to donate to our Ronald McDonald House! Needless to say, the results were amazing (as shown here)! Party attenders and several other members of the Decatur community pitched in to give toys, cleaning supplies, food, bed linens, hangers, personal care items and much more to our House for our families to use, as well as $1,800! The Frankovich’s caught the attention of local news station, WAND, too! Their story was featured on the news that evening, and because of that, even more donations were brought by our House! 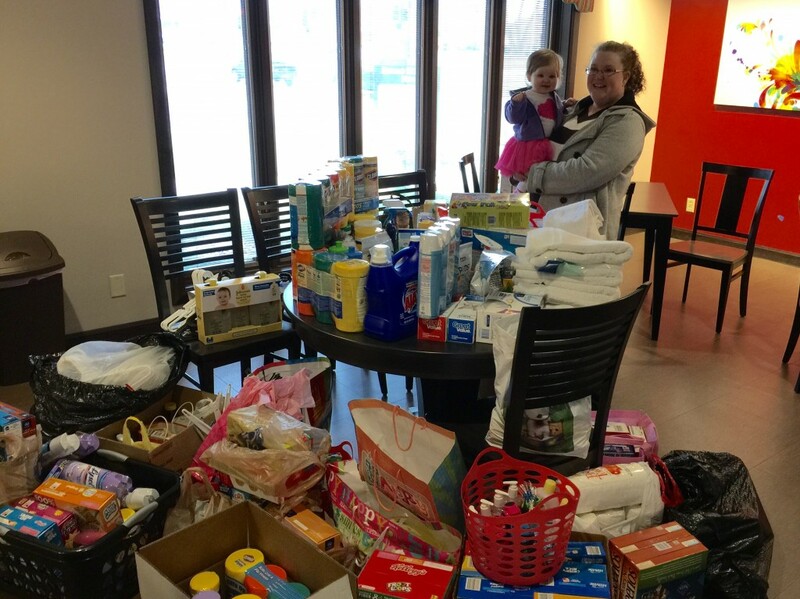 Allison and her mom, Janice, are pictured above on the day they dropped off all of the items. We are truly grateful to them for their support and we are so happy that “Big Al” is doing so well!